As bona fide beach bums, my partner Joel and I are using this South America trip to scout as many coasts as possible. 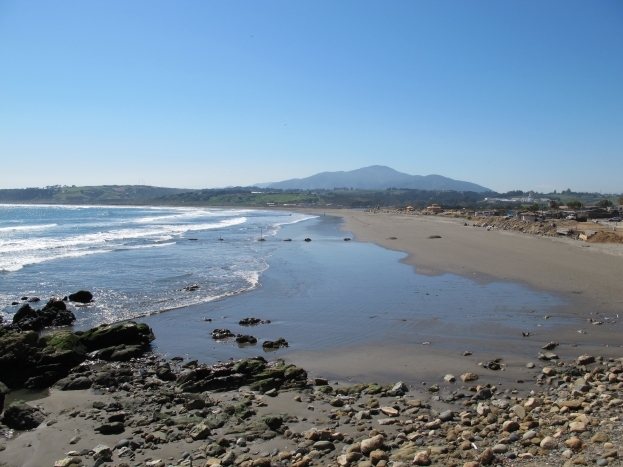 We’d heard great things about the Chilean beaches north of the capital Santiago – they boasted great surf and loads of culture – so we added a stop off in Vina Del Mar on our way north. From Santiago we caught a 1.5 hour bus north to Vina Del Mar, where we checked into Little Castle, a quiet bed and breakfast owned by a friendly Chilean, Patricio. After staying in backpacker hostels for the past few months, it was nice to settle into a home for a few nights. Patricio made sure we were well and truly aquainted with the local way of life – his house was perched on a hill overlooking most of Vina Del Mar, and in perfect view of a pub, which he recommended we check out. With great music, cheap drinks and even cheaper food, it became our haunt for the next three nights! On our first full day, we took Patricio’s advice and headed 15km north to check out the somewhat sleepier towns of Concon and Regata. 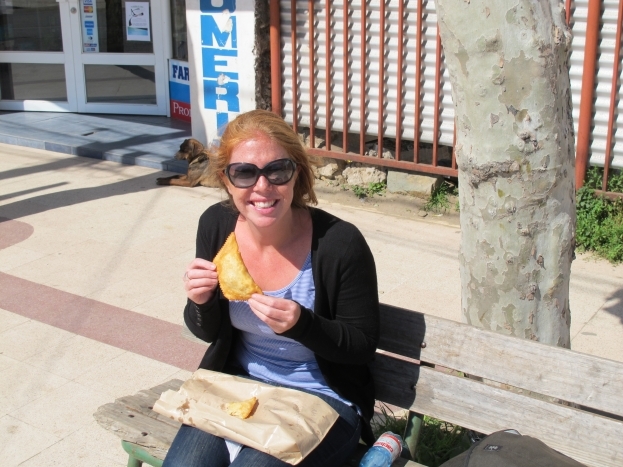 There we feasted on the local specialty – crab empanadas. Exploding with fresh crab meat and melted cheese – they were absolute heaven. We filled the rest of our day walking along the quiet coastline. Being quiet season, we hardly saw another person but could imagine how hectic it would get in the summer months. 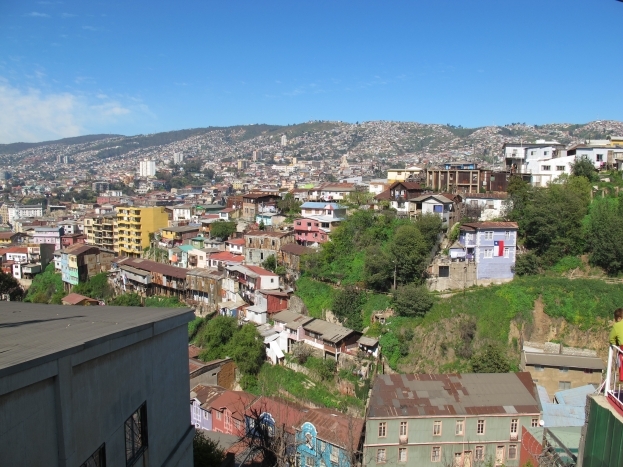 Nearby Valparaiso is a must-see city for many backpackers, so we spent our second day there. It was Chile’s original port town and was one of the richest cities in South America 200 years ago. Now it’s a colourful sprawl of houses and buildings on the side of a mountain leading down to a busy port. We wandered the streets and took a cable car to the top of the hill for a magnficent view across the whole city. 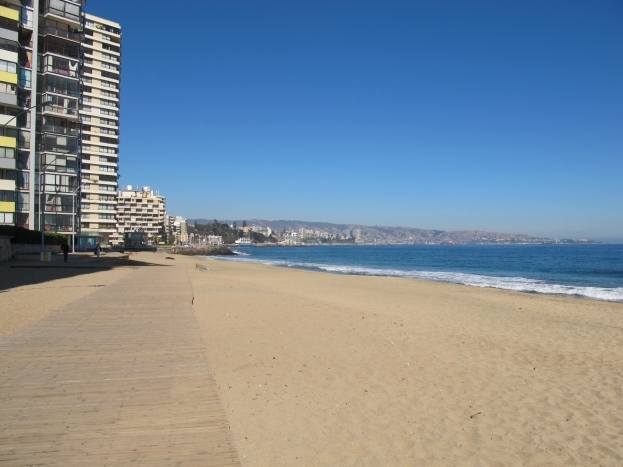 While we had a great time in Vina Del Mar, and enjoyed a few days off the hectic backpacker circuit, we felt we didn’t get to see the seaside cities in all their glory. But there’s one easy way to remedy that – we’ll just have to come back one summer soon!